Emerald crabs are very good little scavengers and members of almost any clean-up crew. 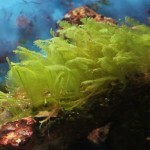 They will remain fairly small (around 2 inches) and will be varying shades of green. 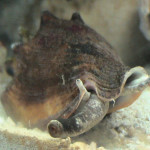 As with most crabs, emerald crabs are very opportunistic feedings that have also been known to try to steel food and will aggressively try to get. 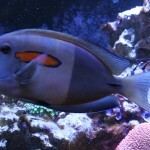 They have been known to stress corals by trying to steel food from them. 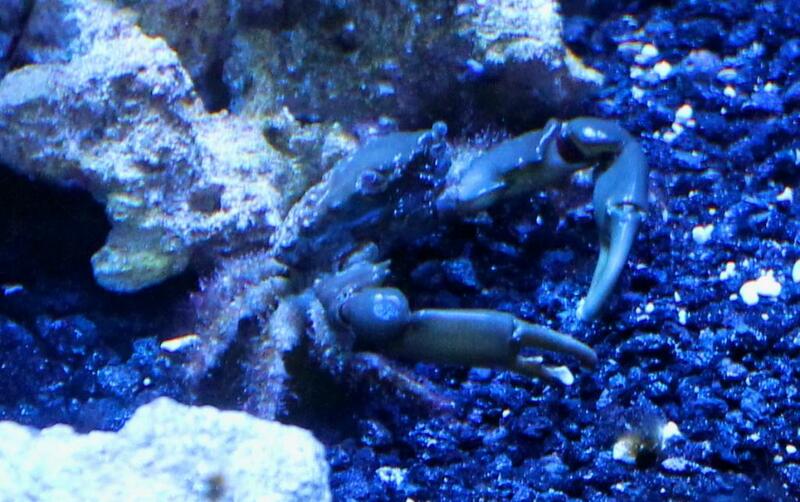 Emerald crabs have also been known to claim a small area in the aquarium as their own and will try to chase away other emerald crabs from their spot. 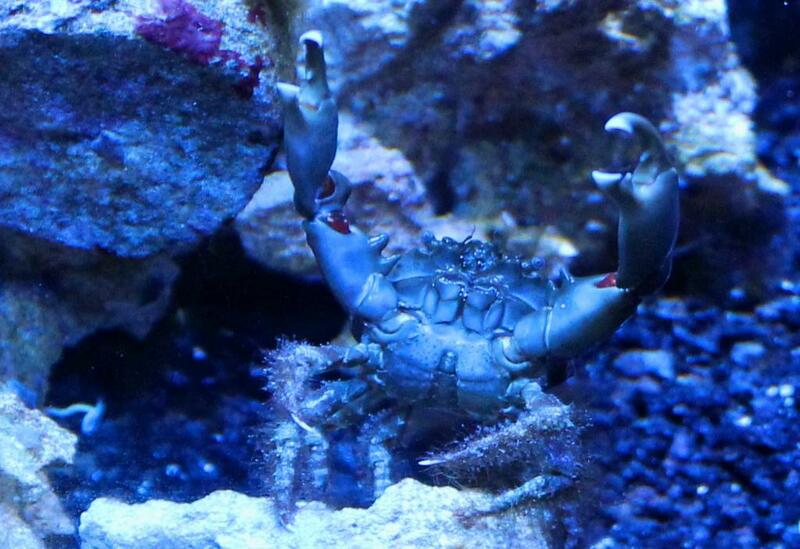 Emerald crabs do best in aquariums with a lot of live rock. 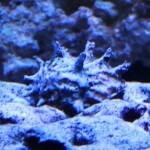 They prefer to hide in the live rock when the tank lights are on and come out to feed when the tank lights are off. 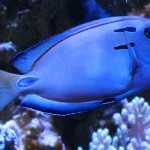 Once they have settled into their new aquarium home, they will occasionally venture out into the open with the tank lights on in search of food. 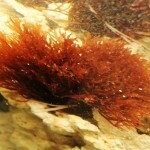 They will best in mature set-up or new set-ups with green algae for them to eat. 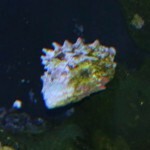 Provided there is enough algae and food to sustain them, the emerald crab is suitable for aquariums as small as 20 gallons. 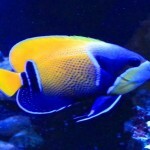 I would refer you to the below article for the typical water conditions that an emerald crab will do best in. 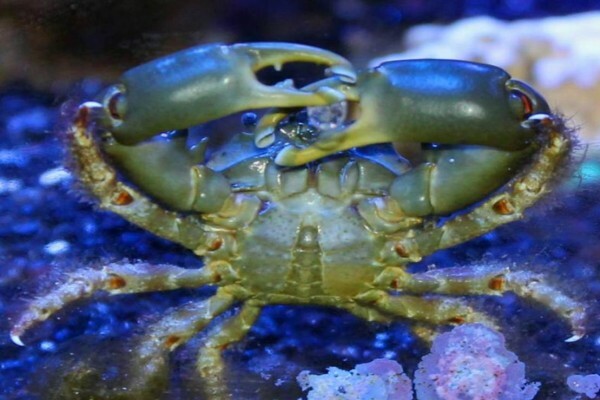 While emerald crabs are very tolerant to less than ideal water parameters, the will best in the long term with good and stable water parameters. 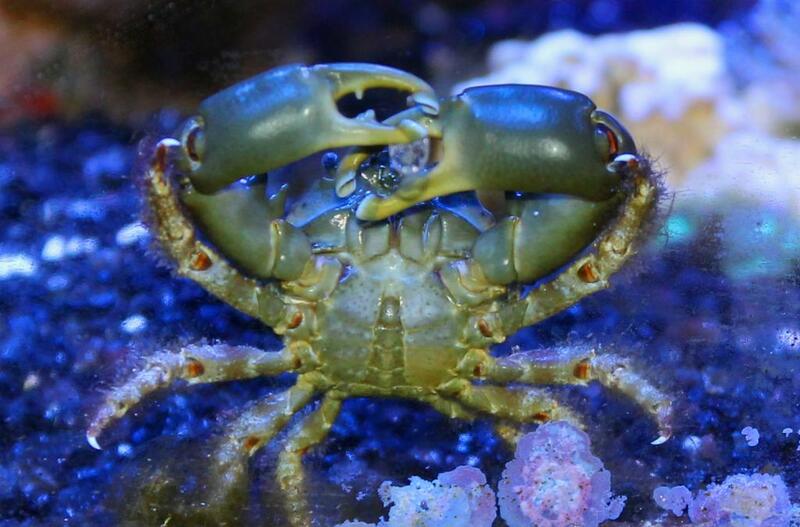 As Emerald crabs are omnivores, they will do best in an aquarium with green algae for them to eat as well as some meaty foods. 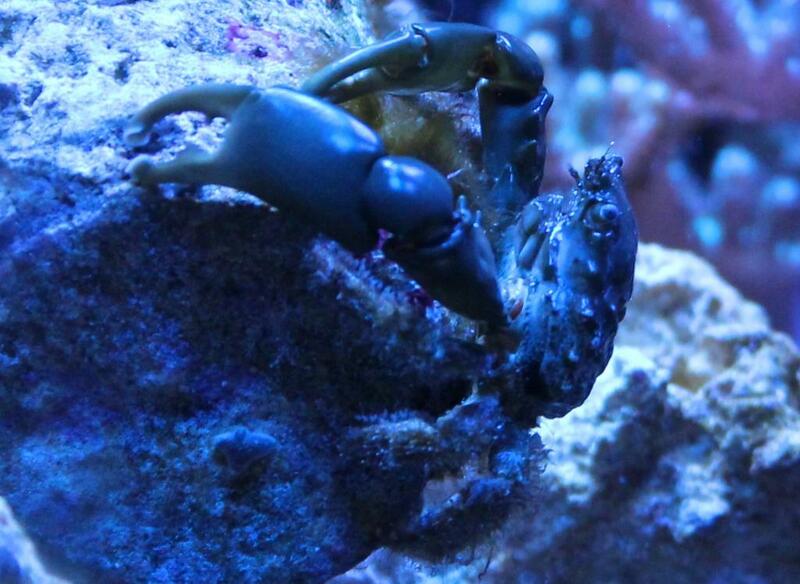 Emerald crab will eat a lot of algae growing in your aquarium as the biggest part of their diet. 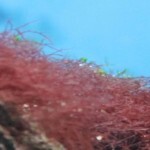 If the algae level drop to the point of there not being enough in the aquarium for the emerald crab to eat, you can supplement their diet with dried seaweed and some additional meaty foods.